One Touch 8700 USB , One Touch 8920 USB , One Touch 9020 USB , Strobe XP 100. Most people buying scanners of this price range do not need such characteristics. 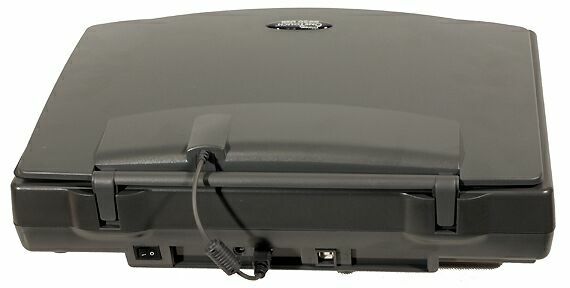 Certainly, the Strobe XP 100 is not cheap at all, but its price is the cost of its exclusiveness (there are not many companies dealing with edge-fed scanners), compact size and luxurious case. Models 8700 and 8920 differ only in the lid: the 8920 has a backlit one for film scanning. That is why we will be comparing primarily 8920 and 9020. 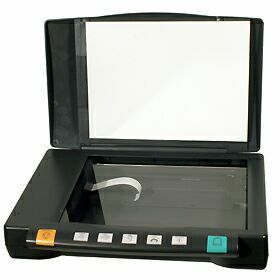 Both models can scan transparent materials and have similar characteristics and price. 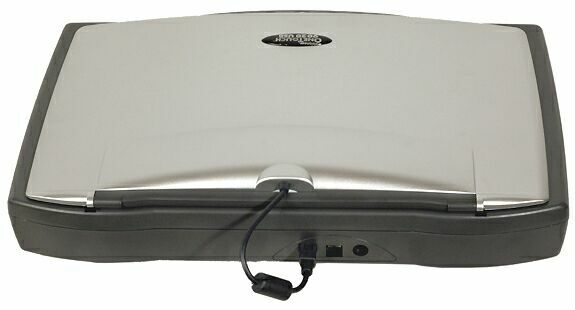 One Touch 8920 USB has a removable white panel which covers the opal glass. One Touch 9020 USB - nothing unnecessary. Let's see what's the use of the carriage's moving in 1/4800" steps, and whether quality may suffer from such small dimensions and light weight. We used a paper rectangular isosceles prism to estimate the scanner's DOF and viewing angle. The resolution is 300 dpi, the depth of field of the scanners is approximately the same, but the flatter design required a shorter-focus lens, and it made the angle which the scanner "sees" the objects on the edge of scanning field at bigger. The angle of viewing of the objects put on the edge of the glass is 18 and 17 degrees. Although the models 8700 and 8920 are thicker, they have inferior lens characteristics than the 9020. One Touch 8920 USB. 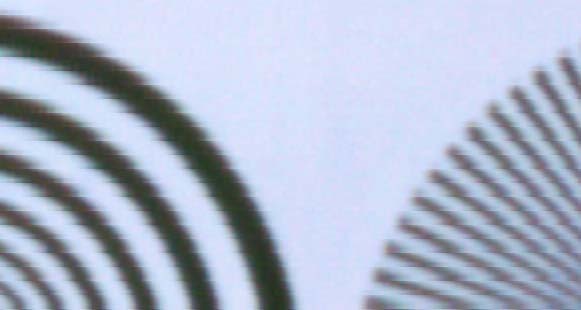 Noticeable chromatic aberrations worsen image quality at 1200 dpi. If you reduce the carriage step even more, it won't improve image quality. The interpolation algorithm worsens it. I.e. 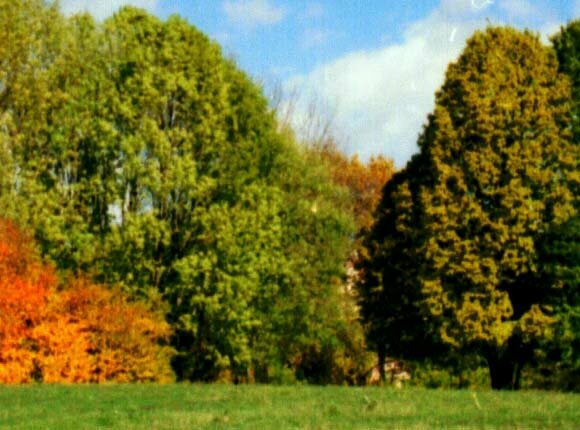 a photo scanned at 1200 and then enlarged 4 times in the Photoshop looks better than the one scanned at 4800 dpi. Scanned at 1200 dpi and enlarged 4 times in Photoshop. The maximum density of materials scanned is about 2D for both models. The filter, 100 times weaker, placed above the resolution chart makes its grooves indiscernible. Although the 9020 connects PC via USB 2, there is no scan speed growth at all up to 600 dpi, and in higher resolutions the speed goes up only by 15%. The actual resolution of 1200 is insufficient for narrow slides. And it's not able to scan wide ones. The scanners cope with negatives quite well. One Touch 9020 USB. Fragment of the negative scanned at 1200 dpi. 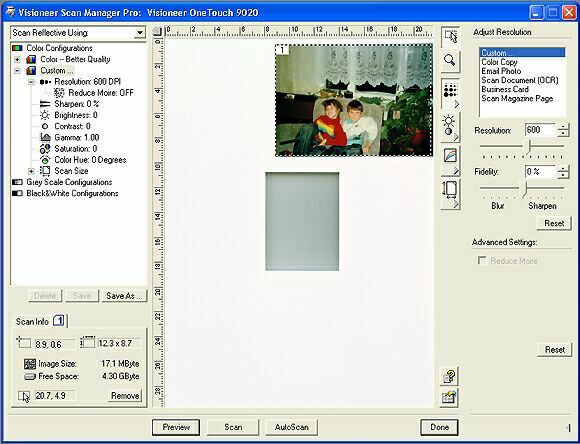 The software supplied caters to basic scanning needs and provides a wide range of settings. 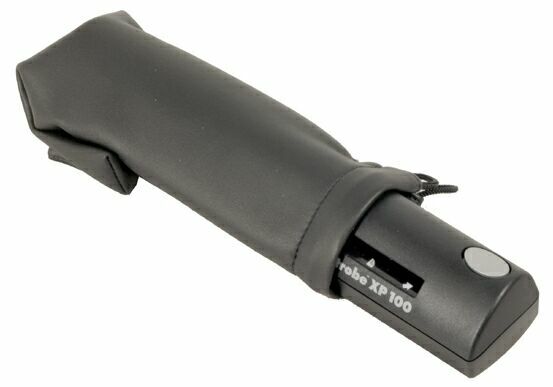 Strobe XP 100 sheetfed extra-compact USB scanner. Breaks are well noticeable at 600 dpi, as well as 300 dpi. This effect takes place in certain places, i.e. there is a series of tearing, in case of the XP 100. I don't know the optical arrangement precisely but I guess it utilizes a pseudo-contact image sensor. There is a line of lenses, and their images are sewed. And this effect may be caused by the defective adjustment or incorrect sewing of the images. It looks as if the paper is cut into stripes, and each tape moves independently. 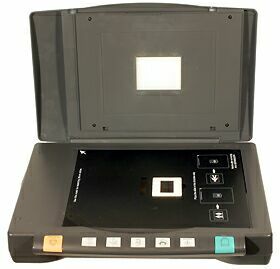 Most likely, the scanner utilizes a group of lenses, each capturing a stripe 8 mm wide. 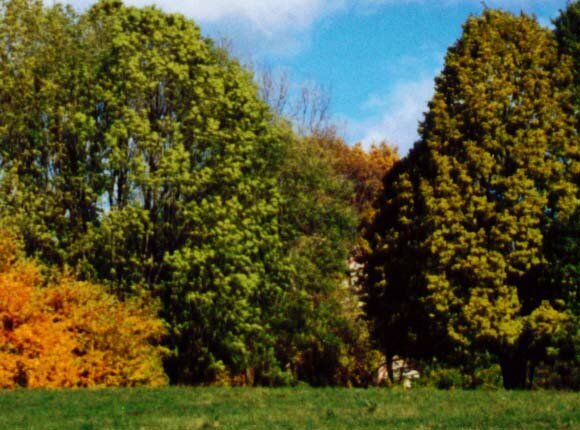 It's also probable that the lenses have strong aberrations on the edges or poorly adjusted. Since it's necessary to rotate the image formed by each lens before sewing, malalignment of the photo detectors' line can cause such an effect. Optical arrangement of the CIS scanner with the classical arrangement. The calibration is applied to black and white fields. If you join parts scanned by different lines you will see that the gray gradations are differently delivered. The effect is well seen if you scan a resolution chart where brightness on the grooves' edges changes gradually, instead of an absolute-contrast resolution chart. In this case the line along which adjacent gray dots have different brightness and which is crossed by black and white grooves is perceived as image motion. Probably, there is no any shift, and the parts are joined precisely. 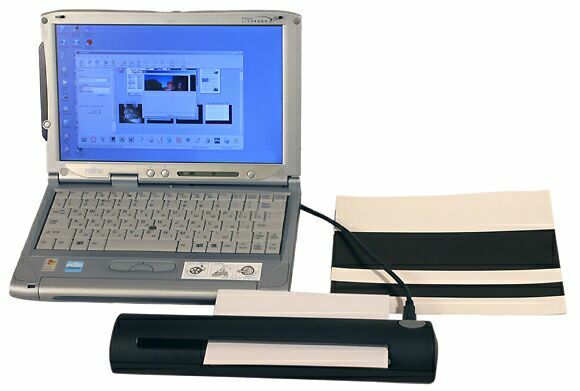 So, the scanner corresponds to its characteristics for line images and texts. As to photos and halftones, you'd better not scan at the resolution over 300 dpi. 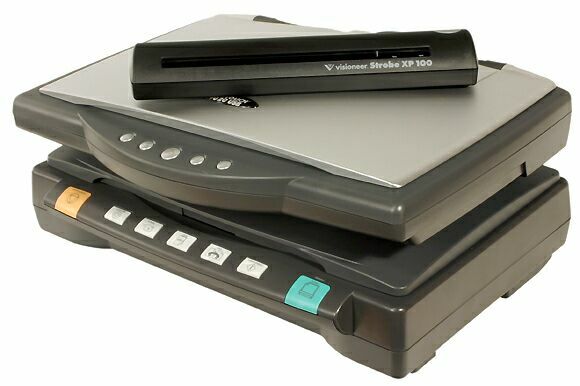 These are good general-purpose flatbed scanners. They have a reserve of the carriage step. However, it doesn't make the image quality much better. The new flat model looks quite successful, but the latest technologies go along with cost reduction. Probably, engines with small steps are the most popular today and do not affect the price. At the same time, the company saves on a power switch and a cover protecting the lamp of the transparent materials scanning module. It's arguable whether it's worth saving on scanning area of transparent materials for a flatbed scanner. 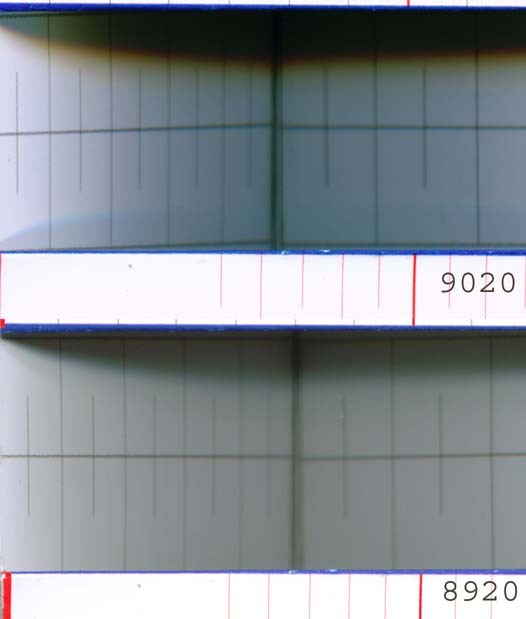 1200 dpi is not enough for 35mm films, and only a small part of the ruler is used. A larger backlight area wouldn't make the price much higher, and it would attract owners of archivers of wide films and records. On the other hand, they make less than one per cent of potential buyers, and others would have to overpay. Probably, lights of different size would be the right solution. Strobe XP 100 is an exotic solution. 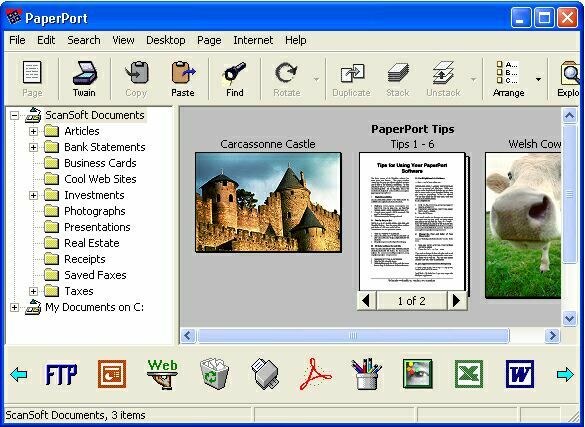 It can be a good companion for a notebook, - it turns such computer into a fax and lets quickly copy a document; but in a library it's better to use a usual scanner. If you want to copy photos for inkjet printing without enlargement, this model can be a good choice too. The maximum resolution can be useful only for scanning small fonts for further recognition.